​Luis Suarez has told Barcelona that he wants to begin negotiations to renew his contract, off the back of a run of seven goals and two assists in nine games. The Uruguayan has contributed to 26 goals in 30 La Liga appearances this season, sitting behind only Lionel Messi in the top flight's goalscoring charts with 20 goals – ahead of countryman Cristhian Stuani, who has struck 18 times for Girona. ​Suarez has hit 20 league goals in his last four seasons, including an astonishing 40 in 2015/16, but looks set to fail to reach a double-digit assist tally for the first time since the 2012/13 campaign at Liverpool; sitting on just six with seven games remaining. 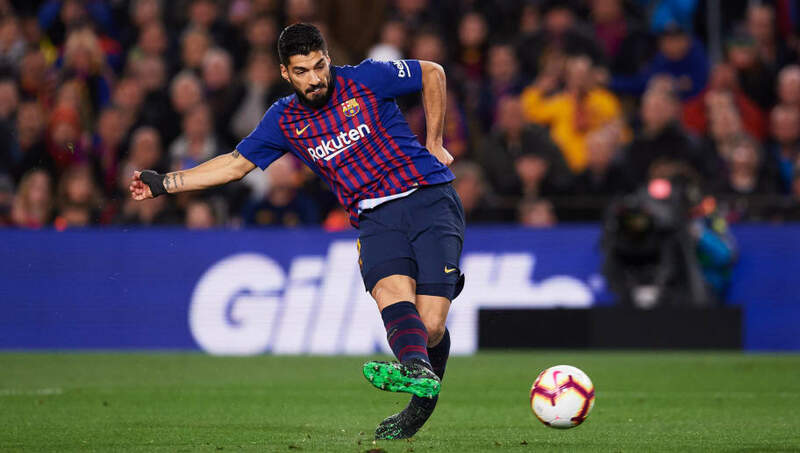 The diminishing return speaks a little to how Suarez's game is changing as he ages, having turned 32 this season, but ​Mundo Deportivo report that the veteran 'takes for granted' that the club will renew his deal past its current end date of 2021. While his returns this season have still been impressive, his diminishing success – it looks likely that his goal and assist tallies in the league will fall for the third consecutive season – mean that committing a substantial amount of money to Suarez beyond the next two years could be something of a financial risk for the club, who must be careful not to over-commit on wages. While his strikes against ​Atletico Madrid and Villarreal in the last week show that he remains one of the world's leading forwards, ​Barça are unlikely to rush to agree terms before they can be sure that a deal will be profitable for both parties rather than just Suarez. The reigning Spanish champions face ​Manchester United in the ​Champions League on Wednesday night – with Suarez looking to improve on his record of four goals in 25 games in the competition over the last three seasons.